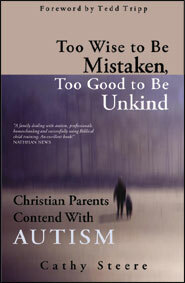 In Too Wise to be Mistaken, Too Good to Be Unkind, you will join David, Cathy, and Drew Steere on their difficult, yet remarkable journey into the complex world of autism. More than a “how-to” manual on dealing with a special needs child, this is the heartwarming testimony of two parents who placed their trust in their faithful Heavenly Father and lovingly persevered in training Drew in the nurture and admonition of the Lord. 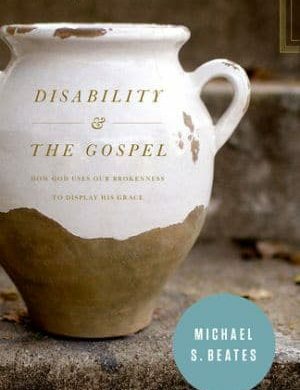 A powerful testimony to the sufficiency of Scripture in all of life. Includes a foreword by Tedd Tripp, author of Shepherding A Child’s Heart. 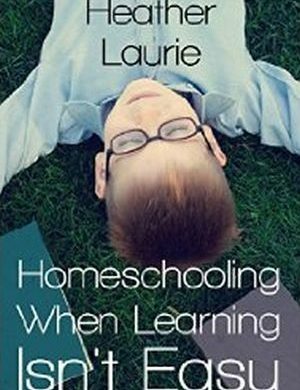 Cathy Steere and her husband, David, live in Washington state and homeschool their two sons, Drew and Elliot. She is author of Too Wise to be Mistaken, Too Good to be Unkind. They are members of Providence Reformed Baptist Church of Tacoma. Cathy has contributed magazine articles on autism and is frequently consulted to assist parents of special needs children. Drew is now (as of 2018) a thriving adult serving well in home, church, and community. “Mommy, tell me a winter story about when you were little,” my son, Drew, begged, climbing next to me on the bed. After he had gone, I thought about the seasons we parents with special needs children go through. And while there are four of them, like the seasons in creation, I found that we have traveled through them by way of an almost backward trek. When we discovered that Drew had autism, back when he was nearly four years old, it was like we had just been told he had died. What actually died was the realization that things were not what we believed, that our child was not normal, but severely impaired, neurologically. There was a sense of death when we peered into the future. No longer seeing the brightness most parents see for their beloved child’s life, we saw only bleakness and loss. This was our winter: a harsh, bitter coldness. Darkness. Death. After plowing through piles of books on the subject of autism, my husband and I charted a course of action to address this insidious condition. We then began an intensive individualized home program, working one-on-one with Drew, seven days a week. After pouring our lives into desperately trying to save our son, hope appeared. There was progress. Yes, there was still a long, hard road before us, but we had found our way out of the cold. We could see color now, beautiful colors all around us. 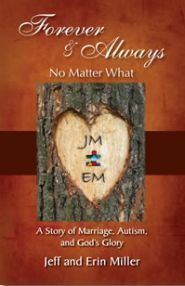 And like the leaves flitting and swirling to the ground during the autumn season, so, too, was the releasing of symptoms of autism for Drew and, as well, the letting go of the feelings of despair in my husband and me. And although there were some stubborn leaves, as there always are, which cling tightly to the branch of a tree, not yet ready to give in to the beckoning wind, we knew that it was only a matter of time before they, too, would find their way to the ground, no longer a part of that which they once adorned. With the summer comes the heat. Overwhelming. Smothering hotness. We were told, as we carried out Drew’s therapy, to be prepared. Often things get worse before they get better. That first year was intense. We sweated through our sessions. New issues would come up in Drew that needed attention. We felt we were running at a feverish pace, thirsty for the finish line and desperate to survive. And yet, despite the heat, it was clear that sunshine had arrived along with it. The beauty of the sunshine whispered to us to persevere. I would say that today we are enjoying the springtime. Seven years after beginning our hometherapy program, as well as adding other therapies along with it, I can honestly say we see growth, and life, and blooms wherever we look. The goals in Drew’s development are being realized. God is giving us great comfort and hope in regard to Drew’s character development. God is giving Drew sensitivity to the Truth of His word. One of my first thoughts when Drew was diagnosed was, “How can he ever be saved?” I could not see how a child who could not understand the love his own parents had for him, and who had no ability to reason or communicate, could know the love of God and his need for a Savior. Then I remembered, “God is the One Who saves. No one on earth—normal or impaired—has any hope apart from the grace of God.” It was all about grace, God’s grace. The constancy and surety of the changing seasons reveal the steadfastness of our Creator and our God. All of mankind is a witness to this, never having to wonder or worry if the next season will indeed come. God shows us that we can trust in Him. We can trust that His good and wise decree will be carried out in His world and in our children. Their development, their character, and their salvation. Trust in Him. The spring comes when He sends it. Too Wise to be Mistaken, Too Good to be Unkind.